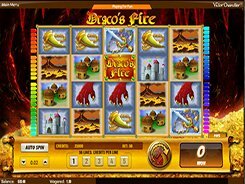 If you are looking to make a big bet, try spinning the reels in Draco’s Fire because the slot allows you to place an unbelievably large amount of $1250 per spin. 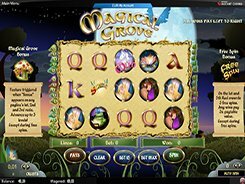 Anyway, the slot accepts a bet starting from $1 per spin, so it is suitable for more modest players as well. Draco’s Fire has a 5x4 reel configuration and 50 fixed paylines. The storyline behind the gameplay is based on dragon fairy tales and legends, so the symbols are somehow associated with the theme and include dragons, castles, erupting volcanoes, peasant huts, etc. 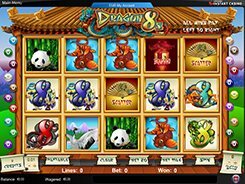 The biggest fixed jackpot you may grab in the slot is an eye-watering $62500; this is awarded for hitting five Draco’s Fire logos across an active bet line. 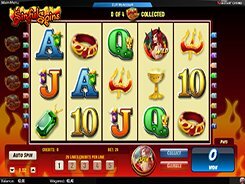 The slot has a wild symbol that substitutes for all regular icons and triggers the Flaming Pays feature when landing on reels 2 and 4 at a time. Should this happen, a red dragon appears above the reels and breathes fire on some symbols morphing them into a single random symbol, thus creating a winning combo. 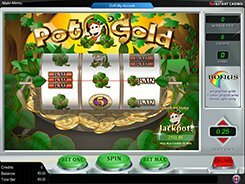 There is also a bonus symbol that activates a bonus feature, and a scatter that unlocks 10 free spins. PLAY FOR REAL MONEY!